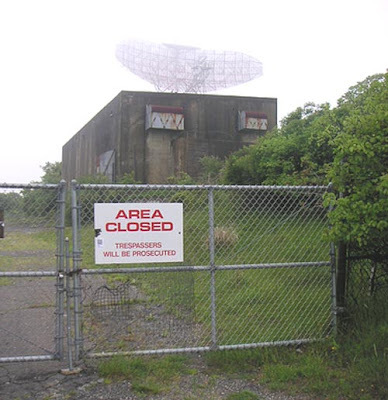 Many things have been said about the Montauk project and the Philadelphia Experiment, nonetheless, the information released on the subject is considered an urban legend or a hoax. We asked to the master of Light about this project in Montauk, the answers were gruesome. ARE THEY PROGRAMMING HUMAN BEINGS HYPNOTICALLY FOR ATTACKS? Interlocutor: Does the so called Montauk Project which is related with the Philadelphia Experiment have extraterrestrial origin? Ruanel: No, it is completely a terrestrial experiment; the aliens have nothing to do with this project. Interlocutor: There is a person called Andy who was apparently connected with this Project since he was a boy, it seems that they conditioned him with electric shocks. Is there something real about this? Ruanel: Unfortunately it is true. Interlocutor: Was he delivered by his own father so that they experiment with him? And afterwards, when he was ten years old. Did his mother take him so that he practices Silva Mind Control? Ruanel: It is also True. The Silva Mind Control is no more than alienation. Interlocutor: Does it record engrams? Ruanel: Yes, because there are people that project things and then they are frustrated because those projects are not fulfilled. Interlocutor: And does that provoke engrams? Ruanel: Correct, and there is an engram in each projection. Interlocutor: Can we say that Silva Mind Control is a “factory of engrams”? Ruanel: It is the best definition of this system. Interlocutor: This person called Andy, Is it true that he had torture sessions in the University of Rochester? Ruanel: That is also true. Interlocutor: Was he used on attacks in Atlanta and New York? Ruanel: Not in New York, only in Atlanta. He put bombs in three buildings. Interlocutor: Did Andy travel through time o he simply hallucinated? Ruanel: No, it was only mental experiments that they made with him. Interlocutor: This person has a stammer. Ruanel: It was originated as a result of the electric shocks that they applied to him. Interlocutor: Do the so-called "Montauk Children" exist? Ruanel: Yes, they exist, unfortunately. Interlocutor: Is one of them called Duncan Cameron? Ruanel: The fact is correct. Interlocutor: What is this organization? Ruanel: It is an organization that programs children, teenagers and grown-ups hypnotically in order to provoke attacks. Interlocutor: But this something monstrous!... Is it something isolated? Ruanel: No, it is something organized, and it is much more diffused of what one would think. Interlocutor: Who are behind this so sinister project, the Area 51 or directly the government of the United States? Ruanel: No, the Area 51 has nothing to do. American intelligence organizations are behind of that. I already clarify that they are not better than those from Area 51. Interlocutor: They are all the same garbage, to say it in an illustrative way? Ruanel: You have said it. Interlocutor: Where have these programmed people attacked besides Atlanta? Ruanel: In several places of the world, in Germany, in the games of Munich, in countries of Central America, in an oil meeting. Interlocutor: Do they respect at least their own country? Ruanel: No, not at all. They don't respect anybody or anything. For example, there were American troops that went to stop drug dealers in Colombia, and these programmed people attempted against the vehicles that they had to return and because of that the guerrillas exterminated all of them. Interlocutor: How many soldiers died? Interlocutor: Now I will ask a strange question: Are we are maybe in an alternate universe where the allies won the war against Hitler because in the original universe they lost it? Interlocutor: I ask it because there is a supposition that the Montauk Project was able to send to the military personnel of 1940 techniques that didn't exist then in that time , with all the indications to manufacture them with elements of that time. Ruanel: No, they are all fantasies. If it had been real they would have avoided the Japanese attack to Pearl Harbor. Interlocutor: I believe that this issue is also finished. THE STRANGE CASE OF THE APPEARANCE OF A SAILOR OF THE PHILADELPHIA EXPERIMENT IN 1943. Interlocutor: Here I have scheduled a question about an incident happened on February 12, 2004. A couple saw a ghostly apparition of a sailor who told them that he had been in the Project Philadelphia. What is the true about this? Ruanel: It was a spirit of error who appeared visible making focus so that they see him. Interlocutor: But was that spirit one of the marines of the polemic Philadelphia Experiment? Interlocutor: Nothing to do with time transference or something like that? Interlocutor: Did this spirit appear to the couple for some special reason? Ruanel: No, it was random. This entry was posted at Tuesday, August 18, 2009 and is filed under Secrets . You can follow any responses to this entry through the .